Cows And Foals Are Grazed On A Pasture. Green Grass. 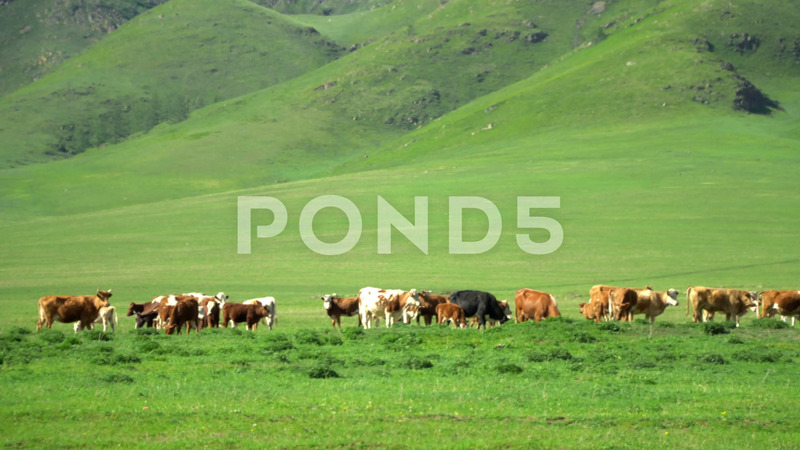 Description: Cows and foals are grazed on a pasture. Green grass. Beautiful view.